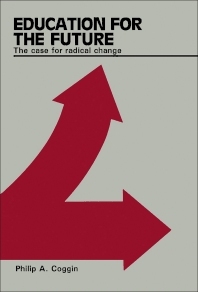 Education for the Future: The Case for Radical Change focuses on the developments in educational systems and the role of teachers and learning institutions in shaping society. The book first ponders on the problems confronting progress in education, including the pressure on schools and teachers to perform according to the dictates of society. The need to develop curriculum in universities that can instill efficient learning for students is also underscored. The text also takes a look at the relationship of literary culture and the productive and distributive activities of the market place. The manuscript focuses on the influence of educational technology in the provision of aids in learning. The text also underscores that the solution to the problems of education in Britain should not be taken individually, but rather it should be treated as part of a larger pattern. The controversy in the establishment of the Gresham College is noted. The book is a dependable reference for readers interested in studying the development, issues, and trends in the educational system of Great Britain.